Note: All pictures enlarge if you click on them. Start Safari. 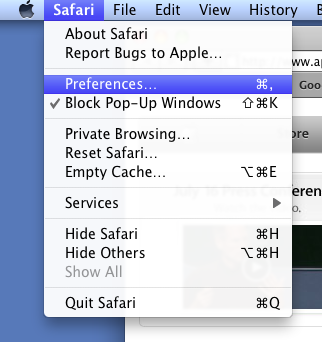 In the top menu, click on Safari, Preferences. 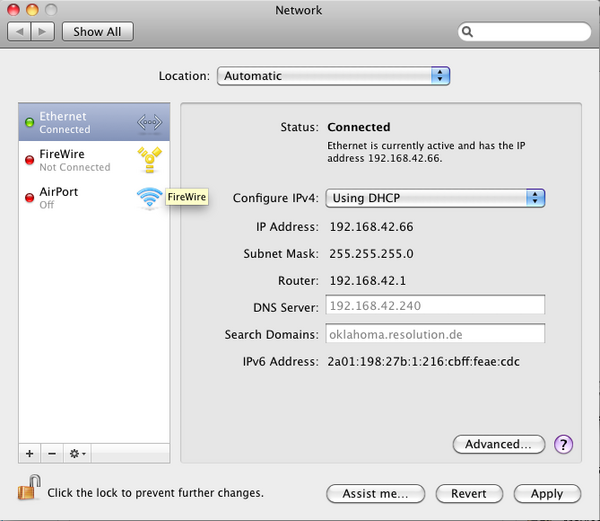 Click on Advanced, then click the Proxies button. Now tick "Web Proxy (HTTP)". Configure the right hand side as shown (IP 127.0.0.1, port 8080 -- or whatever you have used in the YF client, 8080 is the default). You might want to add host name patterns and networks in the exclusion list but that's not required. It is probably a good idea to tick "exclude simple hostnames" but again it is not required. If you need it you'll know what it means, if not you don't need it. 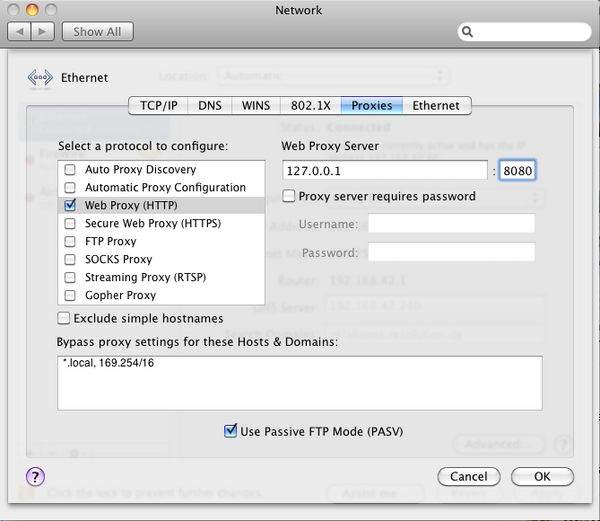 Repeat this for "Secure Web Proxy (HTTPS)" and "FTP Proxy". It is a good idea to also configure SOCKS Proxy as shown below (use port 1080 this time, or whatever you have chosen in the YF configuration -- 1080 is the default). This will make other protocols than pure web browsing work. If you like, configure Gopher Proxy the same as Web Proxy, but I highly doubt you'll be using Gopher anyway, it's soooooo nineties. :-) You might want to configure a Streaming Proxy the same as Web Proxy as well, not sure if it works though but you can try. When done, click OK, then click Apply in the window shown below.